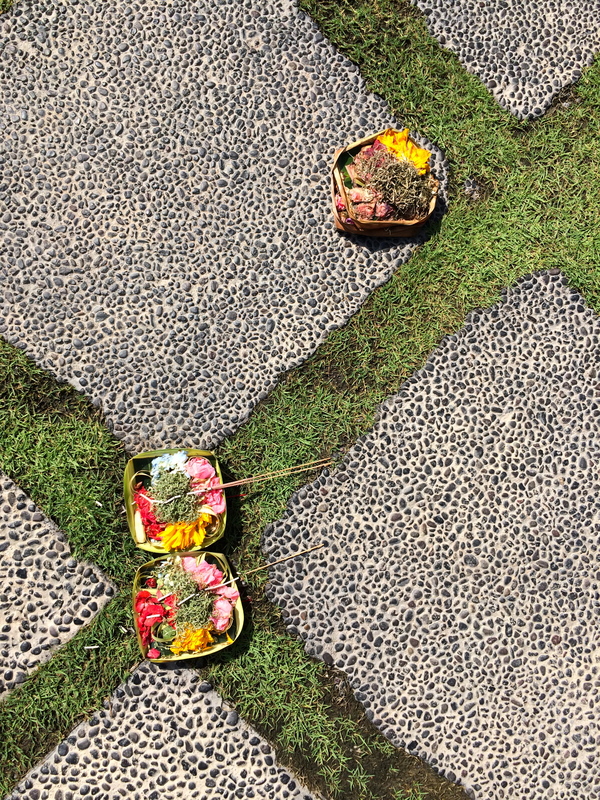 I’m no authority on Balinese Hinduism, nor was I able to get a clear explanation from any of the people I harassed about what exactly these gorgeous little colourful boxes scattered around in doorways and temples every morning are supposed to represent. All I managed to find out is that they have something to do with placating the bad spirits and nourishing the good ones, and the balance of good and bad in the universe. Despite not really understanding them (actually, maybe because of this) I became totally obsessed with the offerings and structured my day around being able to go for a walk mid-morning, once the women had gotten dressed up to go and put them out, and before they got trampled by motorbikes or got rained on during the day. There’s something really peaceful and rhythmic in the practice of setting out a fresh, absolutely beautiful offering every morning – right next to yesterday’s one decaying in the street. 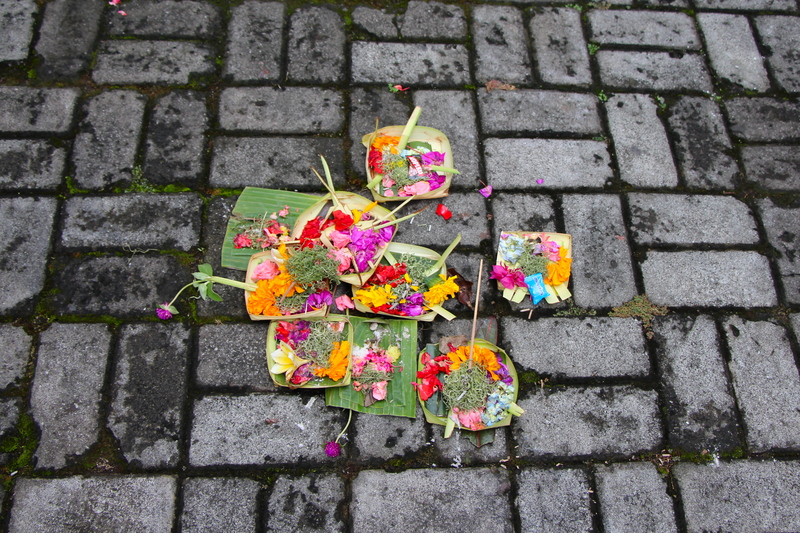 I wasn’t the only one enchanted by the custom either: Mum found some incense in the house we rented in Seminyak and started making her own offerings in the morning too. The gods of free time and private pools were very well nourished that week! They got me thinking of my own early morning sitting-in-the-garden-drinking-tea-not-talking-to-anyone habit, and the habits of those who meditate or pray or go for a run on the beach. Why do we all seem to have this need to do something sacred and thankful, regardless of religion (or lack of)?